We worked with Content Film to manage the Raindance Film Festival opening night gala and world premiere of Newcomer in London. 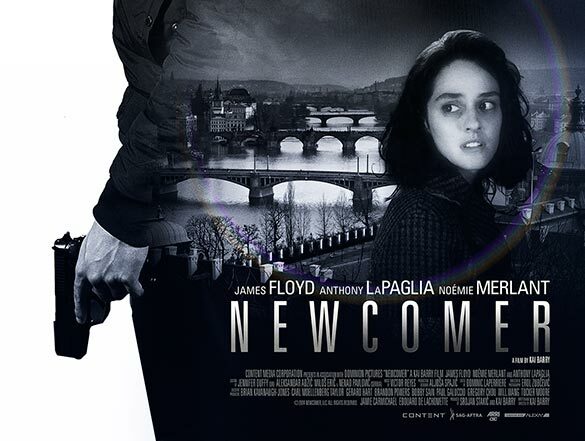 The visually stunning spy thriller from Kai Barry stars James Floyd, Noemie Merlant and Anthony LaPaglia. When a rookie operative’s mistake costs the lives of his entire team, he’s forced on the run and must piece together the truth by re-creating the events of the ill-fated mission with only the audio recording to guide him. We managed festival publicity, securing quality press coverage with media outlets including Variety Magazine, Screen Daily, London Live, Daily Mirror, Shockya.com, Vulture Hound, The Londonist, Time Out, The London Tree, Gorilla Film Magazine, Film International, Film Industry Network Biz, After Nyne Magazine, View of the Arts, The Glass Magazine, Film3Sixty Magazine, The Culture Whisper, Flickering Myth and much more.